As a small business owner, you wear multiple hats — and some of them probably fit better than others. If you find yourself struggling with the complexities and nuances of online marketing, you’re not alone. It’s not uncommon to feel uncomfortable taking on the role of chief marketer. While you may be familiar with the various ways to reach customers online, you might be unsure of how those practices work together, or exactly how to integrate efforts to achieve the best results. Your small business can build a strong online marketing plan by combining content marketing, email and social media. When used in harmony, these three elements will bring attention to your business, keep your target audience interested in your brand and help you spread the word about your products or services. To get started, let’s review the basics of each channel. 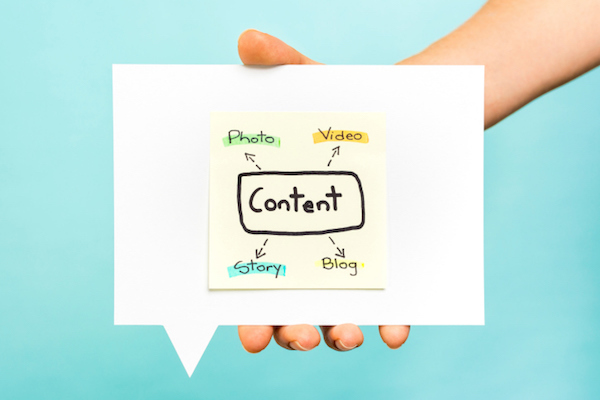 Content marketing is anything you create and distribute for public consumption with the aim of drumming up business. Content marketing works because it gives the recipient something of value, such as information or entertainment, all while elevating your business’s visibility and credibility as the provider of that value. It allows you to reach as broad or narrow a range of targets as you desire. It creates associations between businesses and consumers, and creates a positive and enriching connection. Email marketing is an efficient way to communicate and stay connected to your clients or customers while also promoting your business. It’s a distribution channel for content. Common email campaigns consist of product or service announcements, a company newsletter, lead nurturing and sales promotions. Email marketing is effective when it’s done thoughtfully and strategically. Shotgun emails that go to the inboxes of people who have no interest in your company or product are worthless. They waste time and money, and annoy disinterested consumers. Focus on growing and pruning your email subscriber list. Solicit emails through your website, blog, social media channels or in-store promotions. These consumers are already aware of your business and are more likely to be receptive to additional contact. Segment your list. Not every customer or prospect will be interested in every email you send, but some emails will be highly relevant to others. There are many ways to segment your mailing list. 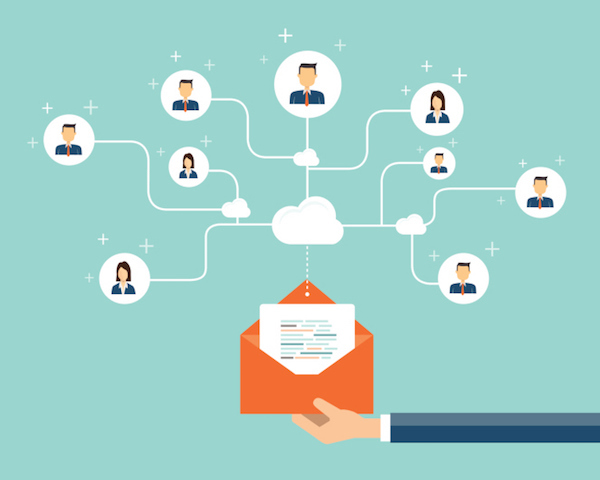 Using an email service provider such as VerticalResponse makes it easier to determine how to divide contacts based on age ranges, gender, location, birthday or any other information you collect from the subscriber. You can also segment based on email campaign activity — whether subscribers have opened or clicked on certain emails. Using this contact information and engagement metrics help you target your message better. Deliver quality content aimed at fulfilling the needs of the targeted list. For example, couples who just bought a home might welcome an email from their realtor that provides tips for new homeowners, or a list of resources such as movers or handyman services. This type of content is useful and relevant. It strengthens the relationship between the realtor and the clients, and is a perfect example of how content marketing and email work together. Communicate regularly but don’t inundate customers with email. How frequently should you be sending campaigns? You’ll need to experiment to identify the optimal pace for your target audience. Try increasing email frequency to a small, targeted group and track the results. Do more people make purchases? Or unsubscribe? An email service provider can help you track results, including open and clickthrough rates. By now, only the most tech-resistant are unaware of social media’s influence. Twitter, Facebook, Instagram, LinkedIn, Pinterest and a host of other social media sites are channels that connect millions of users to one another — and to businesses. In fact, 69 percent of Americans use social networking websites, according to the Pew Research Center. These social media networks are distribution channels for content. Social media users are looking to stay connected and therefore are open to engagement. They tend to be much more connected and interactive with one another and with the businesses they patronize. 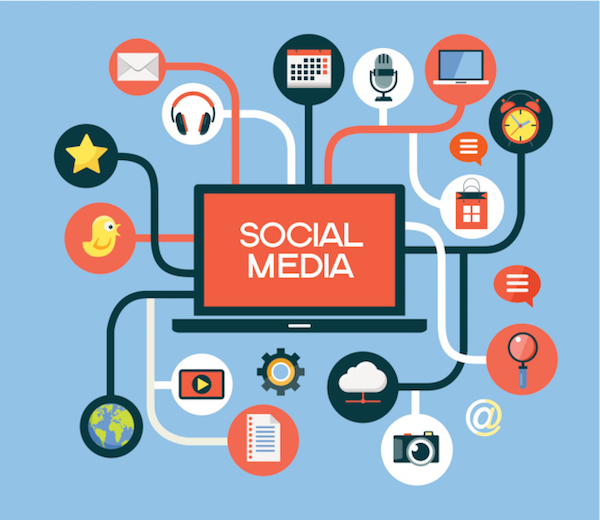 Skillful use of social media can put your business message in front of a highly receptive audience. Learn which social media channels your customers prefer. Establish a presence on those preferred platforms. Use social media to distribute content that resides on your blog, YouTube page or other places. Follow what your customers are doing and saying on social media — before you put your own statements out there. Tailor the content you share on social media to your audience, just as you do with email marketing. Always provide quality content: information that is relevant and useful for your target audience. Use social media to grow your email subscriber list. Create a blog post about a topic your audience would find interesting. Make the call to action at the end of the post an invitation to sign up for your company newsletter. Publish the blog post, and also post it to your social media channels. Encourage fans and followers to share their thoughts in the comment section to stimulate engagement. Round up one or two weeks’ worth of blog posts, any videos you’ve created or links to presentations, and use that content in your newsletter. You distribute the newsletter to your email subscribers, and also share it on social media. Send any new email subscribers (generated from the blog post or elsewhere) a welcome email that provides additional content, and an incentive to connect on social media by promising exclusive promotions to followers. Of course, this is only one path. There are many more to create and explore. You will have to experiment to find out what works best for your business. Content marketing, email and social media marketing are each powerful tools for communicating with consumers and building your business. However, doing only one or two of these tactics isn’t going to get the job fully done. Do each one well and ensure you’re using them in concert, and you’ll maximize your results in no time. Editor’s note: This post was originally published in November 2015 and has been updated for accuracy and relevance.